Hi there and welcome to this month's newsletter. Just a quick note, this newsletter will mainly be focused around my trip to Dubai. But don't worry I'll also talk about other things I've worked on, hope you like it! So... I flew to Dubai! The reason why I flew down to the UAE, was to speak at the TakeOver Innovation Conference! Toronto and Dubai's largest one-day innovation and technology event that brings together 1200+ thought leaders and industry experts. 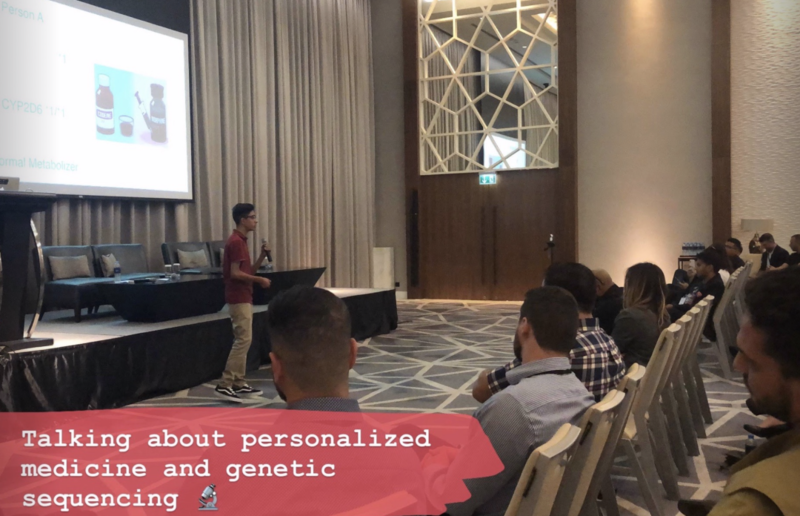 I talked about how we can use genetic sequencing, to create personalized medicine and optimize the human experience through proactive treatments. While there I also got to meet with the Dubai-based Consul General for Canada, Marcy Grossman. Big thanks to Navid, TKS, Sheetal, Rachel, Jane, Fraser, Roger, Theresa and the rest of the TribalScale team for an amazing week! Tour of Dubai Future Foundation. While in Dubai we also got a tour of the Dubai future foundation thanks to Karin and Rohan :-) It was so cool! 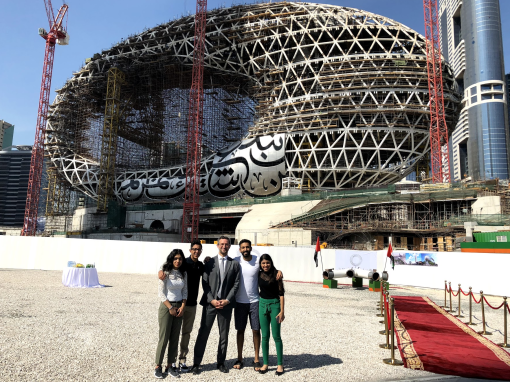 They had a gym, a futuristic nursery with a baby book on quantum physics, an amazing view of the Dubai Future Museum and so much more! Spoke at the AstroLabs in Dubai. 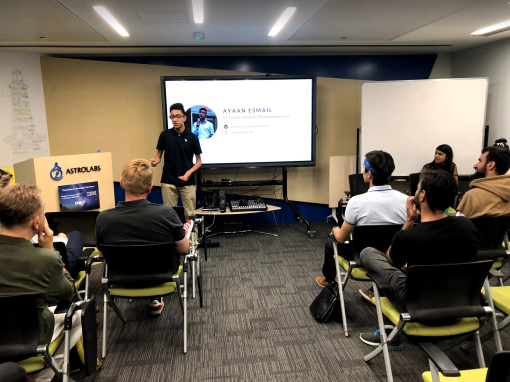 I also got the amazing opportunity to speak at AstroLabs Dubai, a Google supported tech co-working start-up space. It was wonderful having a tour of the place and getting to know the founder, Louis. Thanks for taking the time to meet with us, really appreciate it! 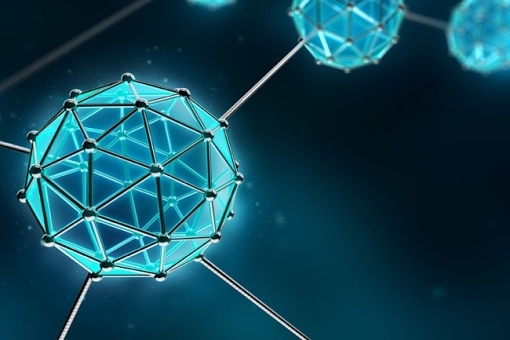 Update on Nanotech Start-up ~ Genis. Just a quick update on our nanotech start-up, Genis. We've actually pivoted our focus towards analyzing human biomarkers. More specifically, we're working on leveraging AI and nanotech to create proactive treatments. Meeting with president of Toronto Raptors. 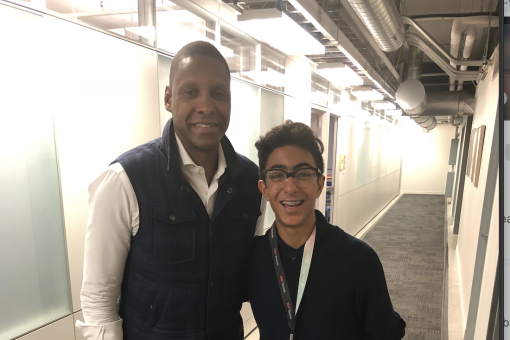 I also got a chance to meet Masai Ujiri, President of the Toronto Raptors. We talked about how we can improve player performance through the use of AI, by creating personalized treatment and nutrition plans. Thanks Masai! Speaking at TEDxDonMills in February! 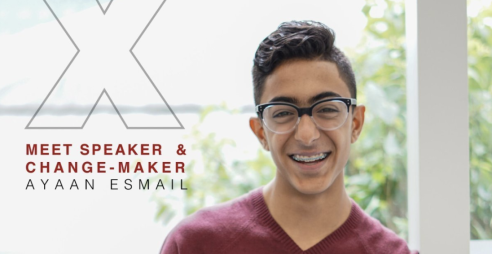 Recently, I got announced as the youngest speaker at TEDxDonMills! Super pumped to be speaking on February 9th about how we can use exponential technologies to create a better world for all. Thanks to the TEDxDonMills team for the amazing opportunity. Check out the rest of the speakers here!